Ranked-choice voting allows voters to rank candidates in order of preference and eliminates the need to conduct runoff elections. In March 2002, San Francisco voters adopted ranked-choice voting as an amendment to the City Charter, and it has been used in every local election since 2004. Beginning with the November 5, 2019, Consolidated Municipal Election, San Francisco will use a new voting system that allows voters to rank up to a maximum of 10 candidates in a ranked-choice contest, instead of three candidates with the previous system. To learn about the new voting system, visit the New Voting System to Debut in the November 5, 2019 election page. Want to know more about ranked-choice voting? This page provides instructions for marking a contest that uses ranked-choice voting, key points to remember, frequently asked questions, and more. How do I mark my ballot with ranked-choice voting contests? For contests that use ranked-choice voting, the names of candidates are listed in rows on the left side of a grid. Numbered rankings appear in the top row. 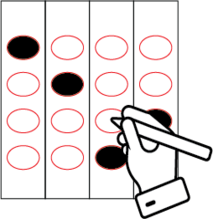 Voters can rank all available candidates in a given contest – up to a maximum of 10 candidates – using the columns on the ballot to indicate their choices. Voters may rank as many or as few candidates as they wish. If voters do not want to rank all of the candidates, they can leave any remaining columns blank. Ranking a particular candidate more than once does not benefit the candidate. If a voter ranks a single candidate as the first, second, third choice, and so on, it is the same as leaving the second, third choice, and so on, blank. Although the new voting system allows for up to 10 rankings in ranked-choice voting contests, the number of rankings listed on the ballot for an office will be based on the number of candidates running for that office. In other words, ranked-choice voting contests with 10 or more qualified candidates will have 10 rankings, while contests with fewer candidates will have fewer rankings. In the first column for your first choice. In the second column for your second choice. In the third column for your third choice, and so on. 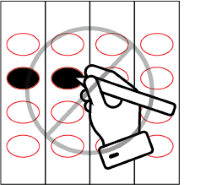 To vote for a qualified write-in candidate who is not listed on the ballot, write the person’s name in the space at the end of the candidate list and fill in the oval for the rank. You may – but do not have to – rank all candidates running for an office. If you want to rank fewer candidates, leave any remaining columns blank. Do not fill in more than one oval in the same column. If you give the same ranking to multiple candidates, your vote in that rank and later ranks will not count. Do not rank the same candidate more than once. Ranking the same candidate more than once will not help that candidate, because your vote will be counted only once for that candidate. For ranked-choice contests, everyone’s first choice is counted. 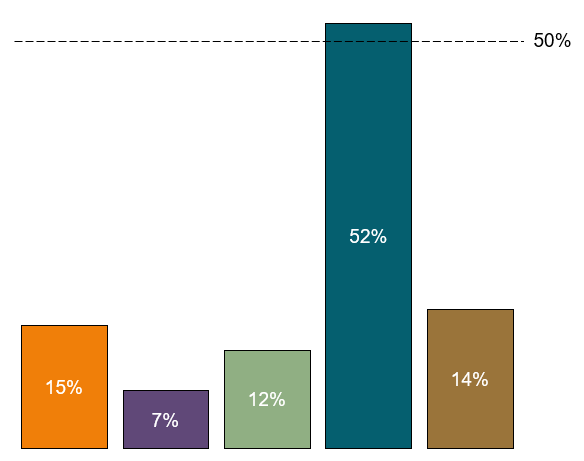 If a candidate receives a majority (50%+1) of first-choice votes, that candidate wins. 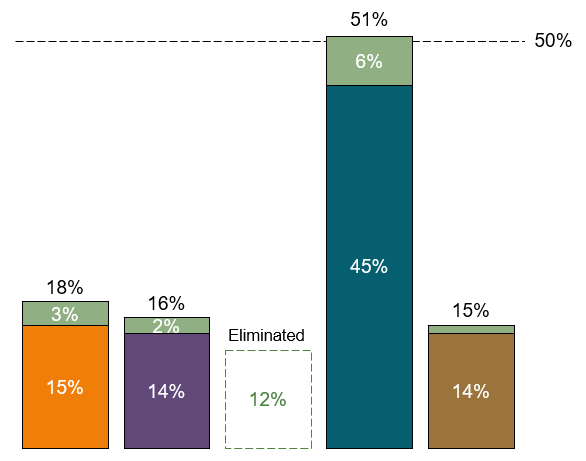 If no candidate has a majority, the candidate with the fewest first choices is eliminated, and voters who selected that candidate have their votes counted for their next choice. This cycle repeats until there is a majority winner. If a candidate receives more than 50%, that candidate wins. If no candidate wins in Round 1, counting goes to Round 2. The process of eliminating candidates begins. The candidate with the fewest first choices is eliminated. Voters who selected the eliminated candidate as their first choice will have their votes counted for their next choice. The votes are counted again. If a candidate receives more than 50% of the remaining votes, that candidate wins. If no candidate wins in Round 2, the rounds continue until there is a winner. 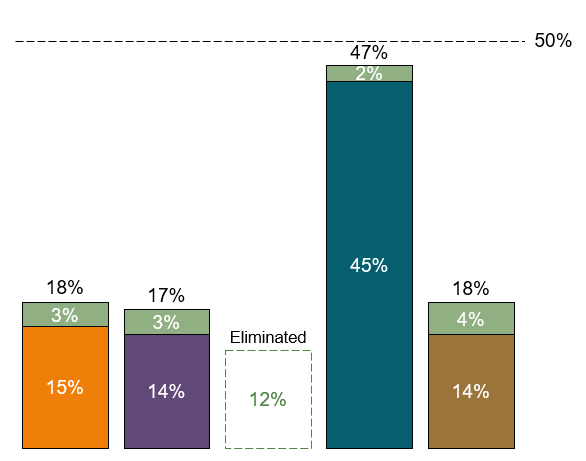 In each round, the last-place candidate is eliminated, and voters who chose the eliminated candidate will have their vote counted for their next choice. How are my choices counted? Only your vote for your first-choice candidate is counted. If no candidate wins in Round 1, the counting goes to Round 2. The candidate with the fewest first choices is eliminated. If your first choice is eliminated, then your vote will be counted for your next choice. If your first choice has not been eliminated, then your vote remains with your first choice. The counting continues until there is a winner. Your vote is counted for your second choice only if your first choice is eliminated. If both your first and second choices are eliminated, your vote is counted for your next choice, and so on. Do I need to rank all candidates? In prior elections, I could rank up to three candidates. Why can I rank up to 10 candidates now? Will all ranked-choice contests have 10 rankings? If I rank other candidates, does it affect my first choice? Under what circumstances can my first choice be eliminated? If I really want my first-choice candidate to win, should I rank the candidate as my first, second, and third choice, and so on? Can I give multiple candidates the same ranking? 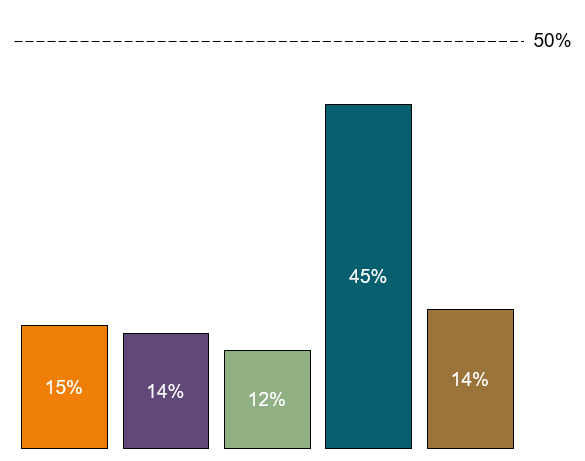 Who is elected using ranked-choice voting? No. You may – but do not have to – rank all candidates, up to a maximum of 10 candidates. If you want to rank fewer candidates, leave any remaining columns blank. Since 2004, when San Francisco implemented ranked-choice voting, the City’s voting systems could allow voters to rank up to three candidates. The new voting system allows voters to rank all candidates running for an office, up to a maximum of 10 candidates. No. The number of rankings will be equal to the number of candidates running for the office, up to a maximum of 10 candidates. No. Ranking other candidates does not affect your first choice. Only your first choice is counted in Round 1. Your second, third, fourth, and other choices will be considered only if your first-choice candidate does not win. 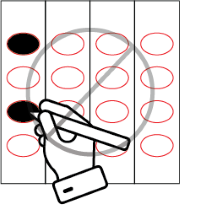 After the votes are counted, if no candidate receives more than 50%, the candidate with the fewest first-choices is eliminated. If your first choice is eliminated, your next choice will be counted, and so on. The process of elimination continues until there is a winner. No. Your vote can count only once for your first choice. If you rank the same candidate first, second, and third, it is the same as leaving the second and third choices blank. No. If you give multiple candidates the same ranking, this is called an “over-vote”. Your vote in that rank and later ranks cannot be counted. If you have further questions about ranked-choice voting, call the Department of Elections at (415) 554-4375 or email SFVote@sfgov.org.